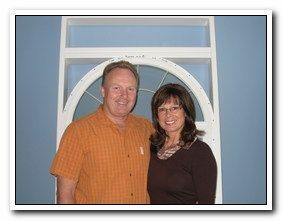 Red Deer Home Repair is locally owned and operated by Martin and Janie Vantol. 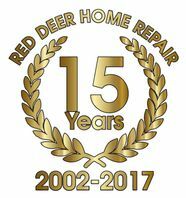 Since 2002, Red Deer Home Repair has been providing high-quality workmanship on window and door installations in Central Alberta. We are your window headquarters. While primarily replacing residential windows and doors, we also do work for property management, insurance, and restoration companies. We retrofit homes and apartment buildings and replace fire damaged and break-and-enter windows and doors. At Red Deer Home Repair, we provide two things: Quality and Service. Our goal is to be the best and to give our customers personalized service that exceeds their expectations. This simple philosophy is why word-of-mouth advertising from our satisfied customers generates steady growth and most of our new business. We are members of the Better Business Bureau with an A+ rating. Why should I choose Red Deer Home Repair? We offer only quality products that you can be proud to have in your home; we are your Window Headquarters in Red Deer. Red Deer Home Repair has access to multiple suppliers to fit all of your window and door needs. We have dozens of glass types to suit your aesthetic desires, your privacy needs, and your energy-efficiency requirements. We have access to all the major door lite manufacturers, so if you see it, we can get it. We can also make custom door lites with colors to match your décor or even make your family crest part of your front entry. We can supply ENERGY STAR™ products, meaning they exceed the minimum energy-efficiency ratings for the climate in which you live. We have access to more than a dozen manufacturers and suppliers. With the many choices available, we will be able to find a product that will get you what you want. All of the windows we use have a Lifetime Warranty. The exterior entry doors we use have a minimum 10-year warranty. All of our window and door installations are covered by our all-inclusive, 5-year installation warranty. We want the process of choosing and replacing window and door products to be as hassle-free as possible and we always do our best to satisfy our customers. We take responsibility for measuring all installations. There is no cost to you if something doesn’t fit. We install year round to keep up with the demand for our services. We do large projects of 100 windows or more down to a single window or door replacement. We have WCB coverage, liability coverage, and business licences for most towns in Central Alberta. We have uniform sales and installation procedures to ensure consistent customer satisfaction. We do a thorough cleanup at the end of the job and dispose of your old windows and doors. We do windows and doors every day. It’s all we do. We have the experience to do it right. You can drop into our showroom or contact us to schedule an in-home consultation and find out how we can help with your window or door project.